How to find and manage a great tradie? We all know how daunting it is to begin the renovating process. There is the uncertainty of how to find a great tradie to assist with your project, and the fear you’ll be taken for a ride by someone dodgy. So how do you find a great tradie? Sort the wheat from the chaff so to speak? In the past, your friends and family would have been close by to pass on their secrets to renovation success. Today, family can be interstate or overseas, and your friends may only know an amazing Electrician, not the super Kitchen Cabinetmaker your heart desires. 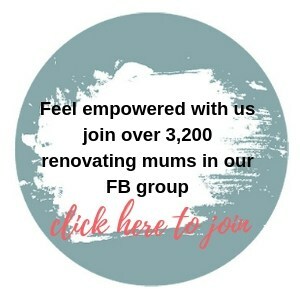 Renovating Mums is here to fill that void – to be your local online village. We have a curated directory of local trades and services, reviewed by local mums FOR mums such as you. Of course, ask friends and family for fab referrals as well and let us know of ones we may have missed. If you have a big job, it is well worth doing your due diligence to save a lot of heartache. For minor home maintenance jobs like changing a tap washer it’s probably not necessary. But if you are planning to renovate a bathroom, kitchen or even build an extension it is worth going the extra mile before work commences. Check they insured and appropriately licensed. As a minimum they should hold Public Liability and potentially Home Building Compensation Fund Insurance (where contract price is over $20,000).The Renovating Mums directory offers the service of checking trades ABN is registered and they hold valid public liability insurance. All that are checked and confirmed have the big VALIDATED tick! Should you be unsure, or that tick is not shown on their directory listing we recommend you double check with Fair Trading NSW and ABN Lookup. You want to be comparing apples with apples. Generally you’ll have one low, one sky high, and one-middle of the road. Personally I try not to go always with the lowest; they could be a bit desperate and the finishes might not be quite what you are expecting. Renovating Mums can help you prepare your brief for your project; refer to our checklists and downloadable resources to ensure you are clear on what your project entails, and join in with our FB community group for answers to any questions. Step 4 – Everything in WRITING! Once you are ready to accept a quotation, make sure you move forward with everything in writing. I can’t stress this enough. Ensure you have a detailed written contract for the works proposed, including itemising all fixtures and fittings (with makes / models etc). And yes, have those valuable verbal conversations with your trade or site supervisor over coffee and change things. But be sure to follow up with an email to confirm what was discussed, and make sure that all variations are approved in writing BEFORE they proceed. Be crystal clear and concise in your brief and expectations, do all of your research and planning before you arrange for quotes – use our FB community group to assist. Once you have made up your mind, stick with it – we all understand a change once you start to see your project being built, but don’t change it multiple times and at the last minute. Understand what might have been pre-ordered, the change to the cost and time of your project. And mostly, enjoy! It is daunting, it can be frustrating, lead times blow out, subbies measure things wrong, fixtures are delivered scratched / broken and need reordering…it happens, no matter how organised you are. So have a glass of wine, understand that your trades are human, they generally love their job and want to do a good job given a chance. Communicate, document and watch your dreams come to life. Want to find a great tradie? Check out our local Sydney trades and services directory here. Love this! We don’t even own a home yet but we are toying with the idea of a fixer-upper so doing lots of PRE-purchase research and this is really helpful.